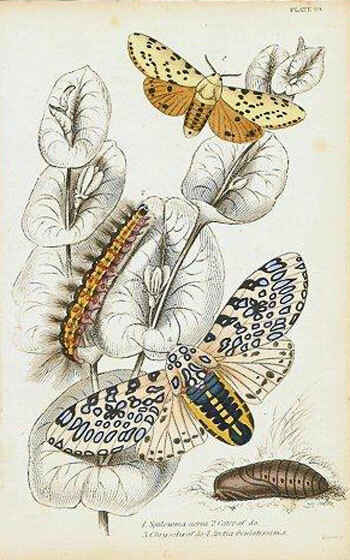 Entomology is the study of insects: their life cycles, habits, characteristics, habitats, classification and more. 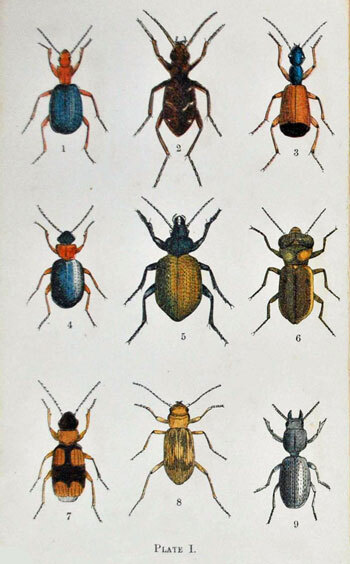 Few topics inspire as much of a diverse emotional response as insects do. 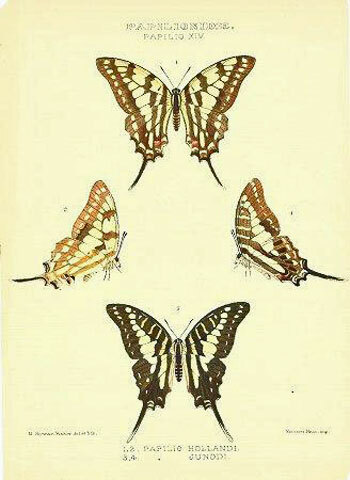 Depending on the person, you might see reactions of disgust, pity, curiosity, fear or awe. 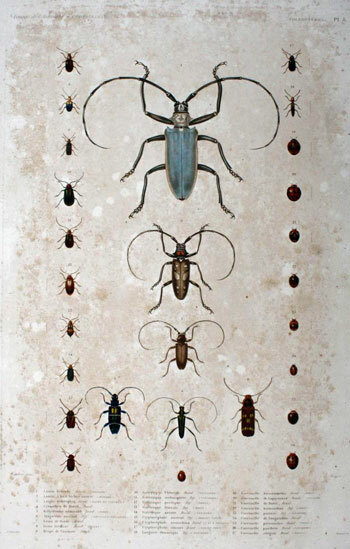 Though small, insects possess remarkable abilities and make up over two thirds of all known living organisms on Earth. 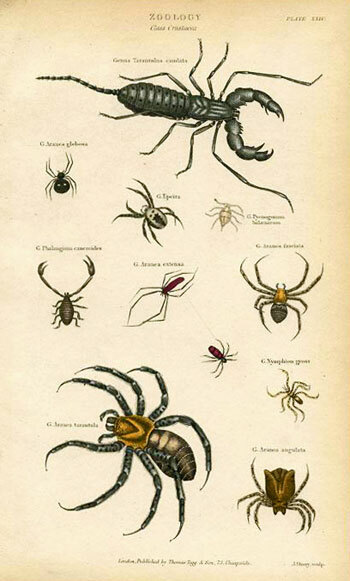 Although modern-day entomology excludes organisms such as arachnids, historical entomology did not. 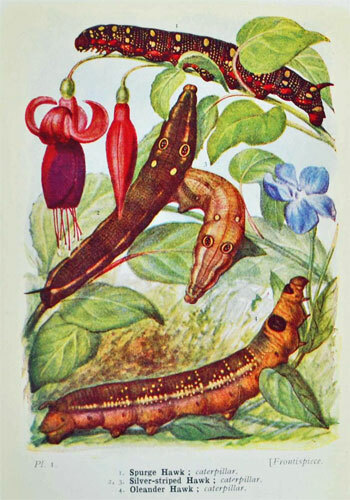 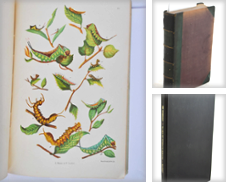 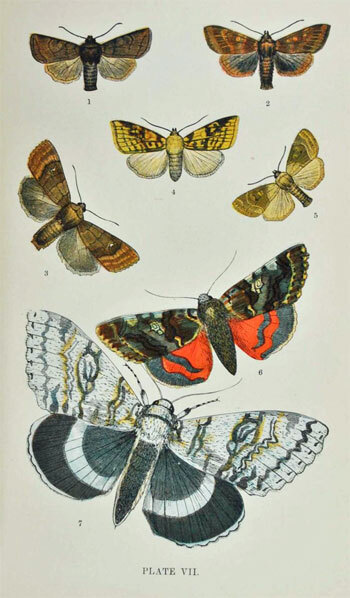 The books, plates and prints on this page pay tribute to species of insects and arachnids around the world, including butterflies, moths, beetles and spiders. 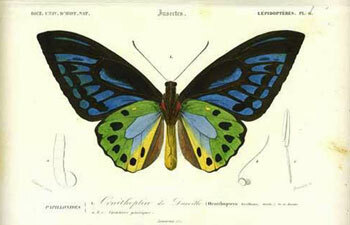 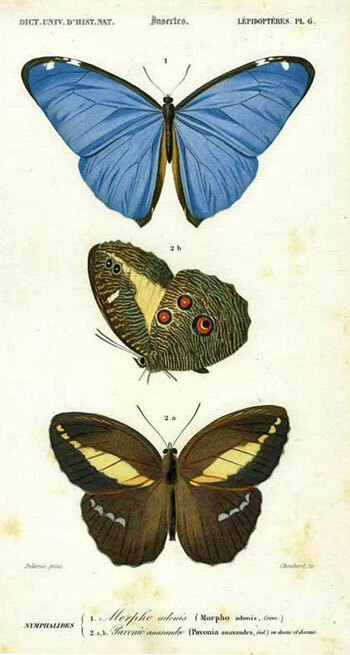 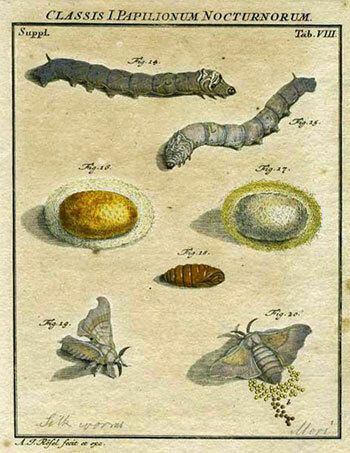 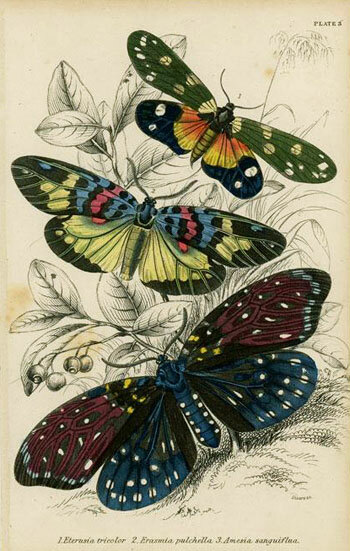 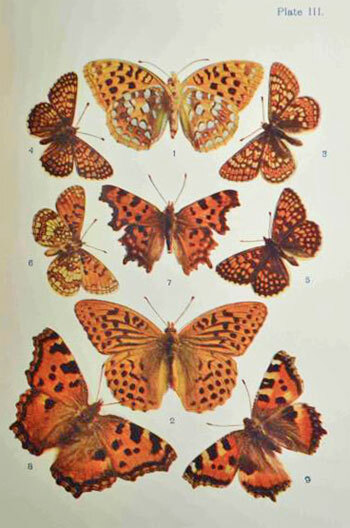 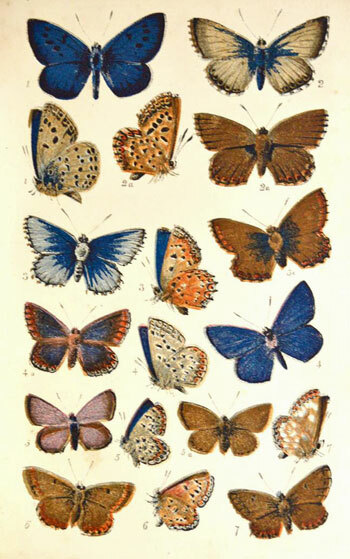 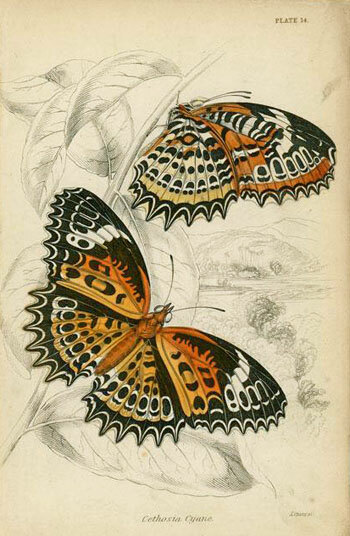 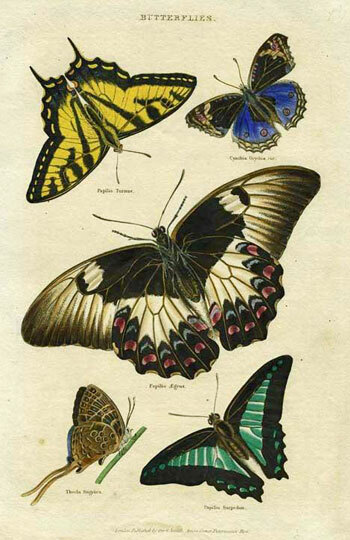 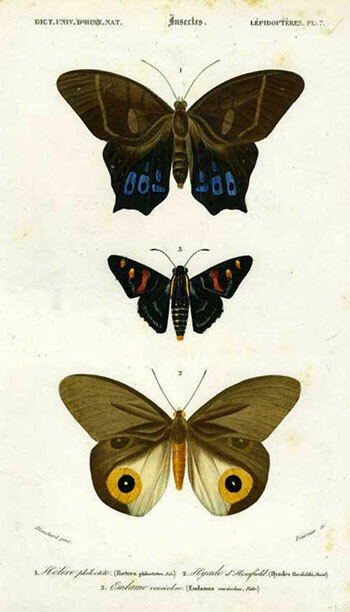 You’ll find artistic renditions of insects, as well as historic insect identification charts. 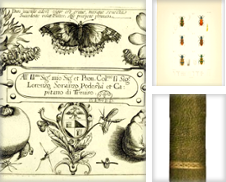 Whether you are an entomology expert, a bug enthusiast or simply a curious passerby, we hope you enjoy this artwork devoted to some of the world’s most exquisite creatures. 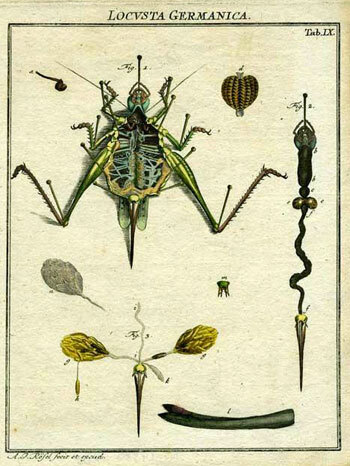 Entomology. 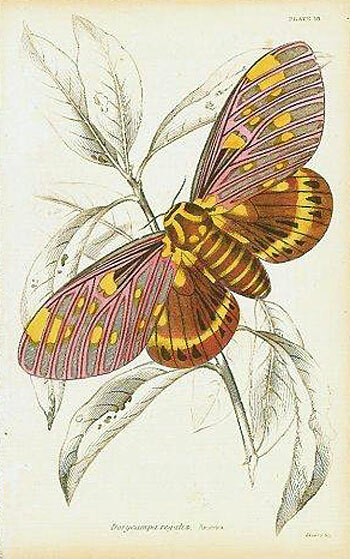 Order Aptera. 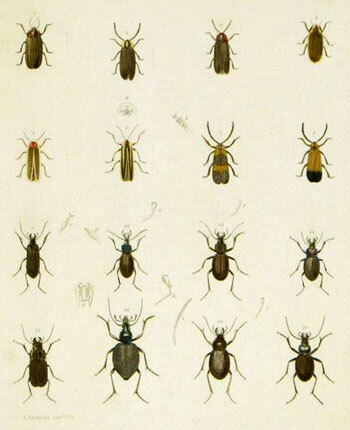 Genus Aranea. 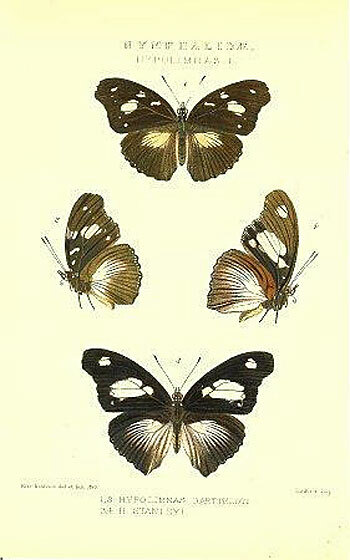 Zoology. 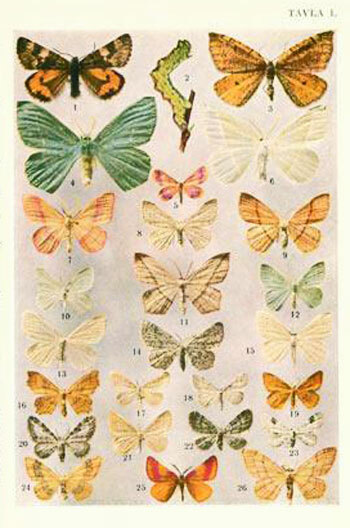 Class Crustaccea. 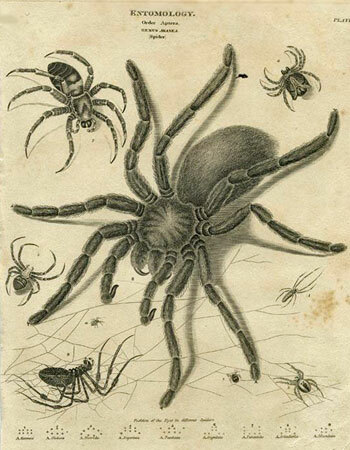 Genus Tarantulus candata. 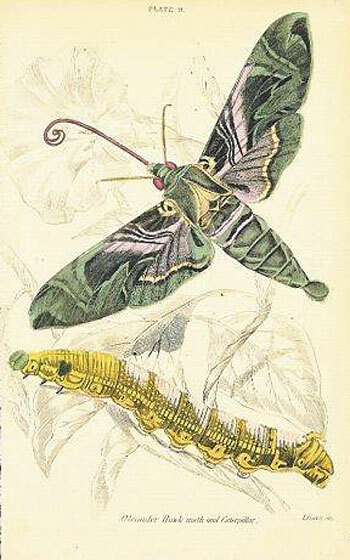 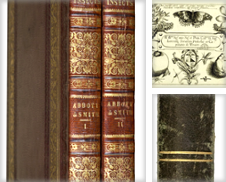 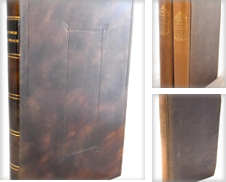 Can you recommend a great book about Entomology? 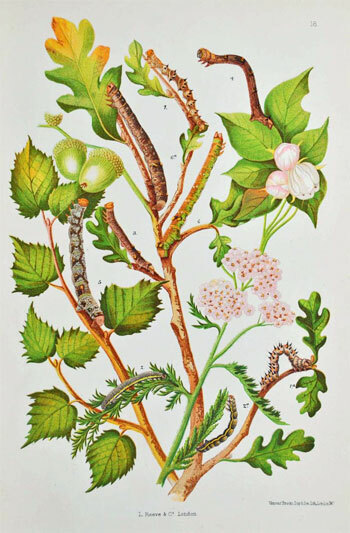 Let's not forget birds & blossoms!